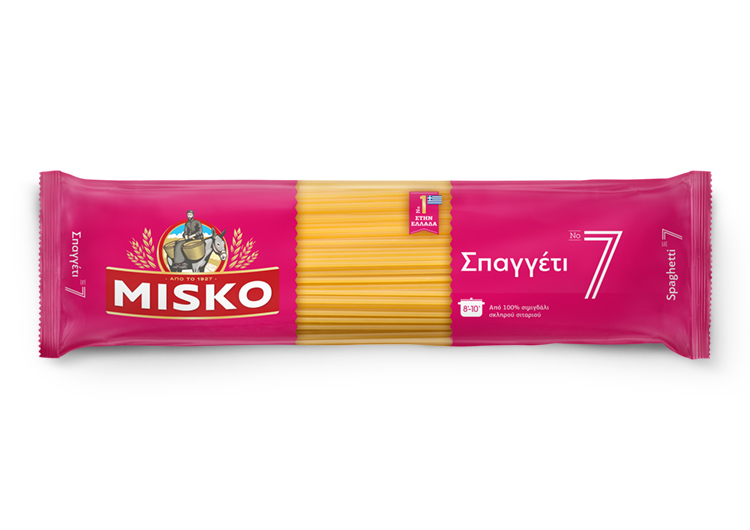 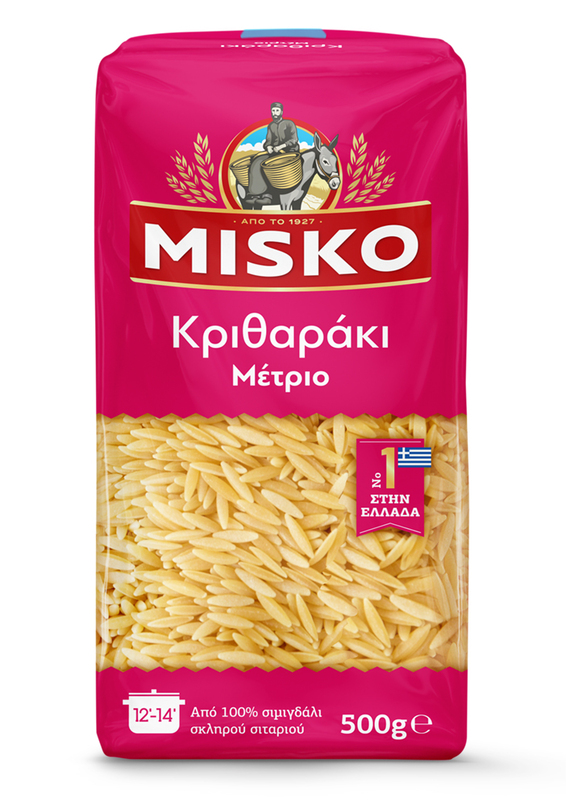 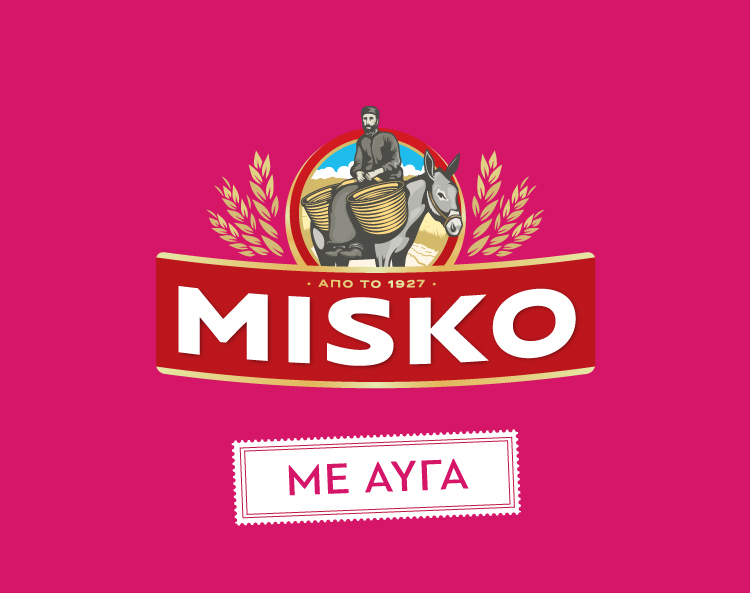 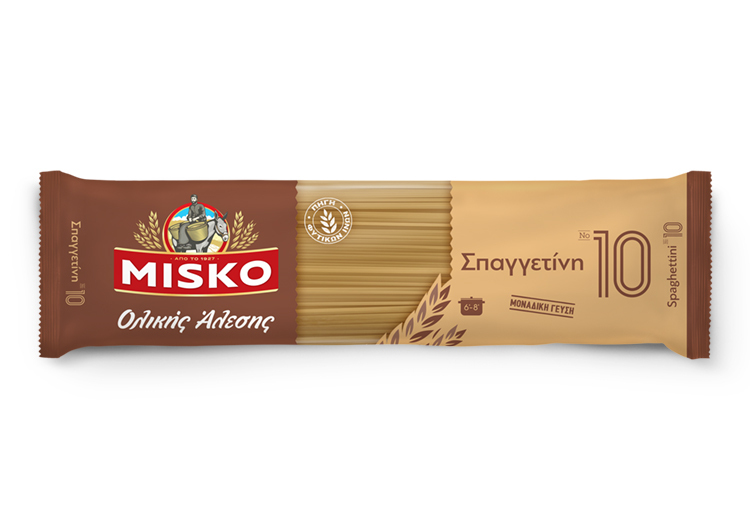 MISKO is among the few most prominent brands in Greece, a real Greek lovebrand. 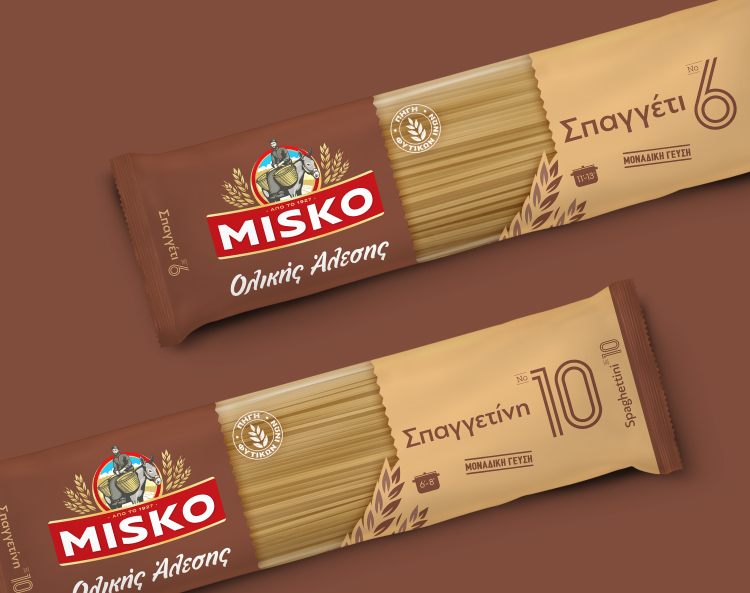 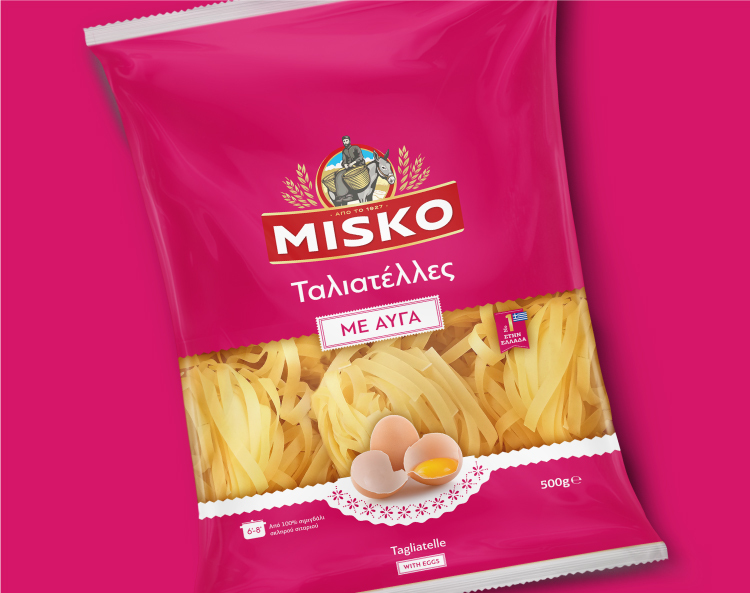 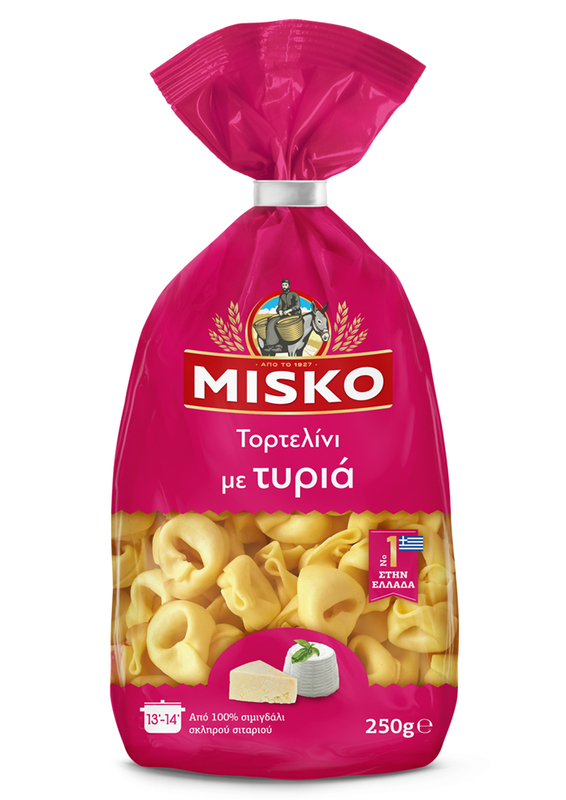 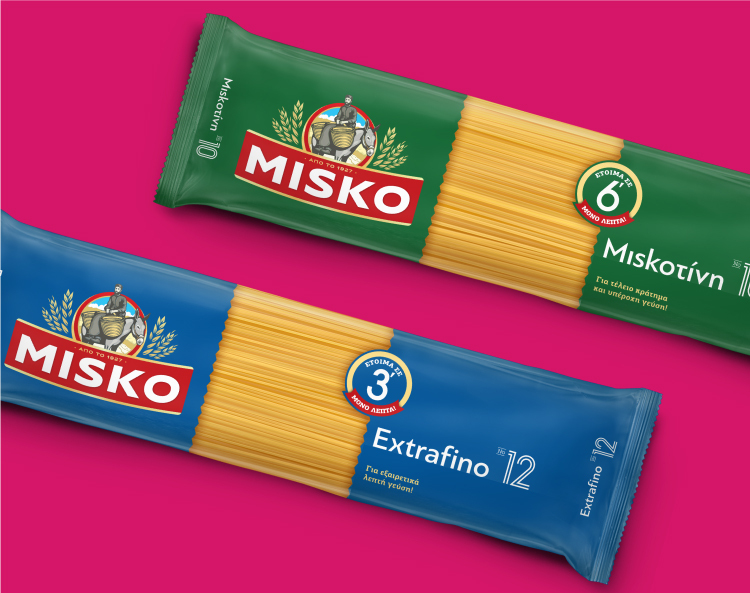 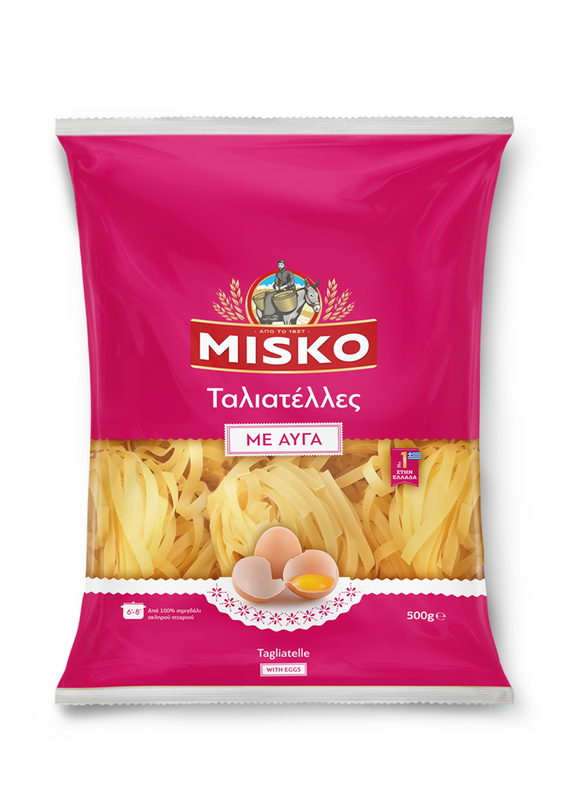 Being the indisputable leader in the pasta market for many decades, MISKO nurtures its strong relations with consumers through continuously developing its products range and updating its communications and promotional activity across multiple touchpoints. 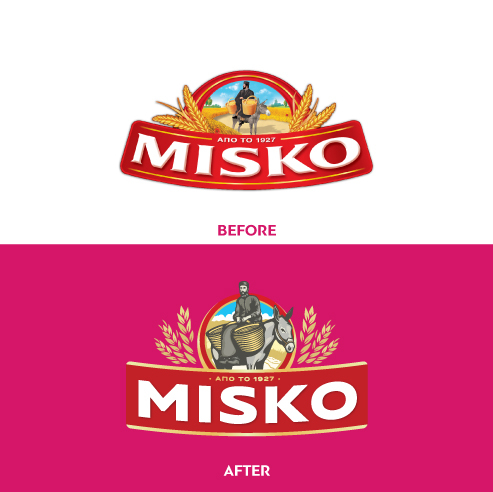 Still, the visual identity of the brand had remained stagnant for quite a while, before MILK branding Professionals were requested to study its evolution. 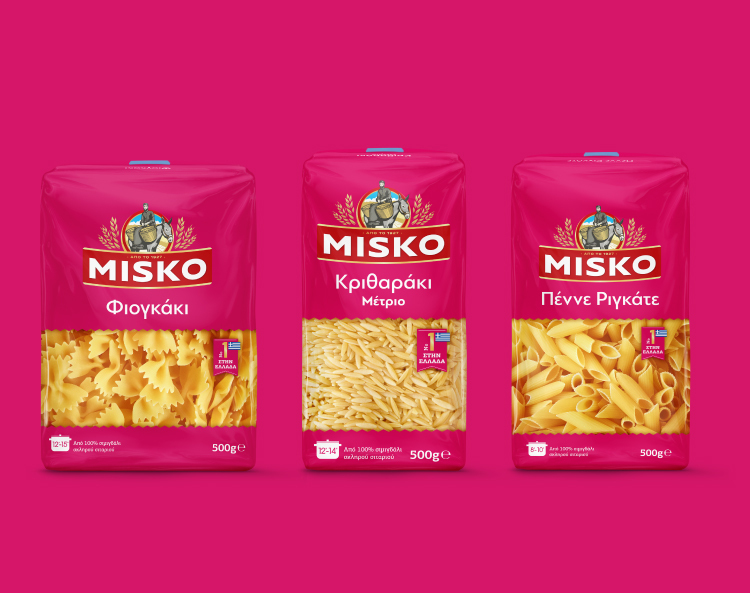 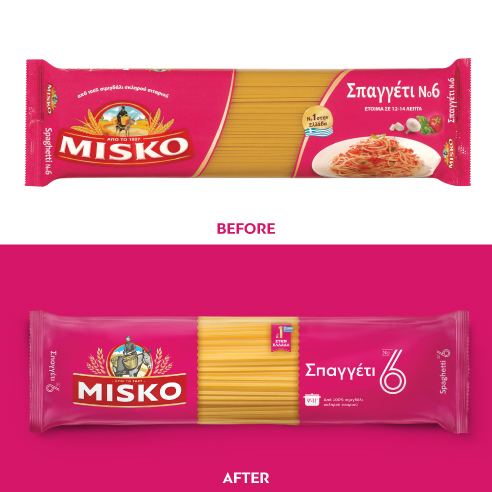 To develop the new brand identity for MISKO, we explored the brand and its heritage, we considered the brand architecture and accordingly we evaluated its visual identity and packaging design. 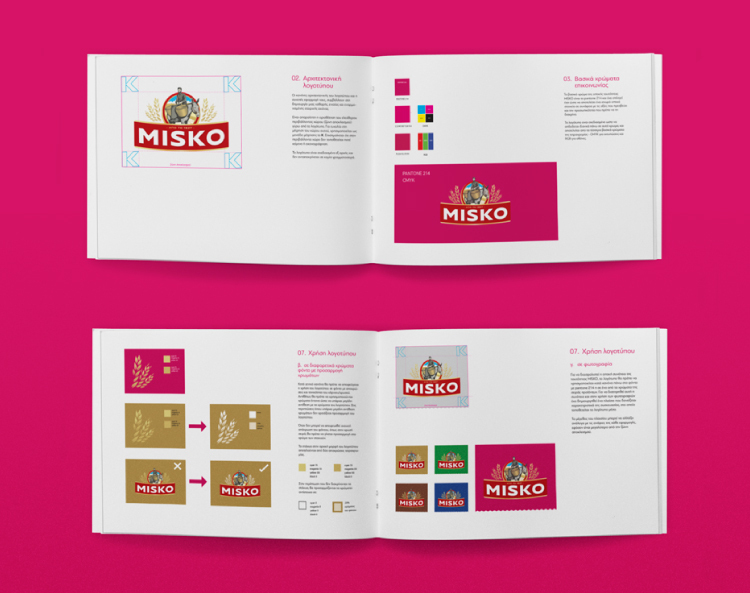 Based on these insights, we renovated the brand identity putting the emphasis on the brand’s most iconic constituents while infusing modern elements and eliminating clatter. 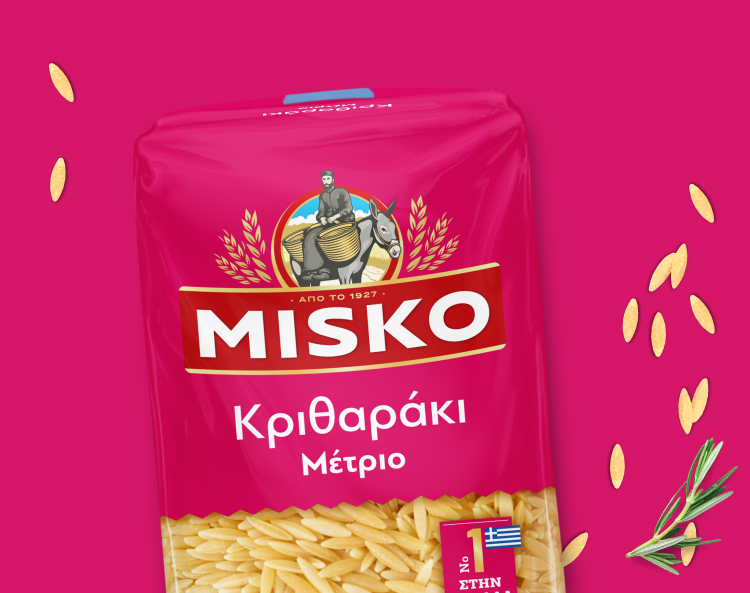 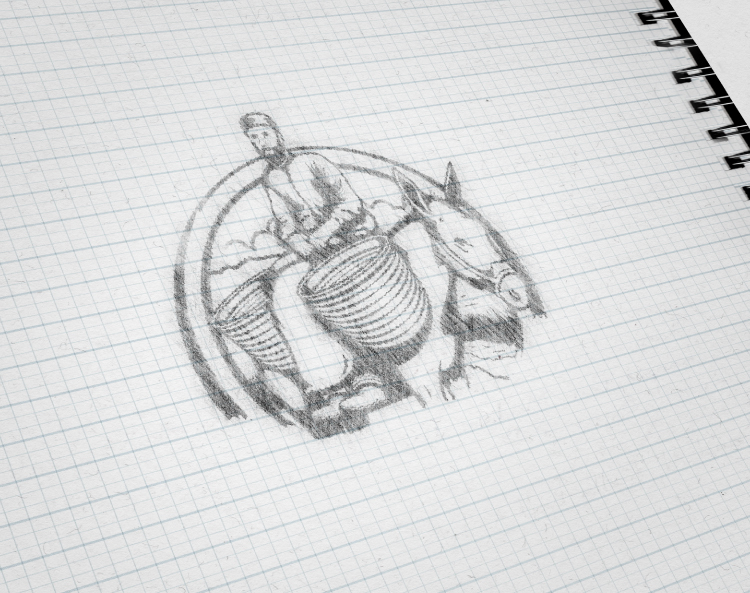 We focused on the illustration of monk Akakios, the iconic brand hero. 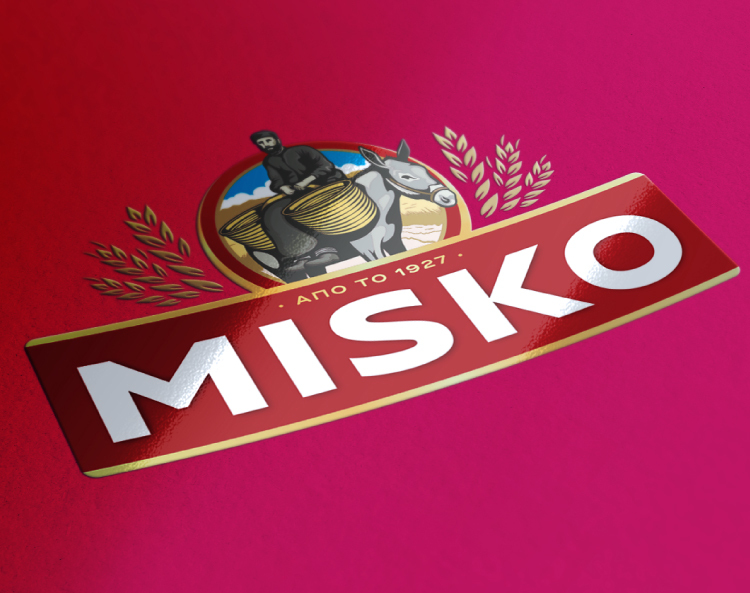 Enlarged and simplified, the monk is now looking directly at the viewer to convey honesty and brand integrity. 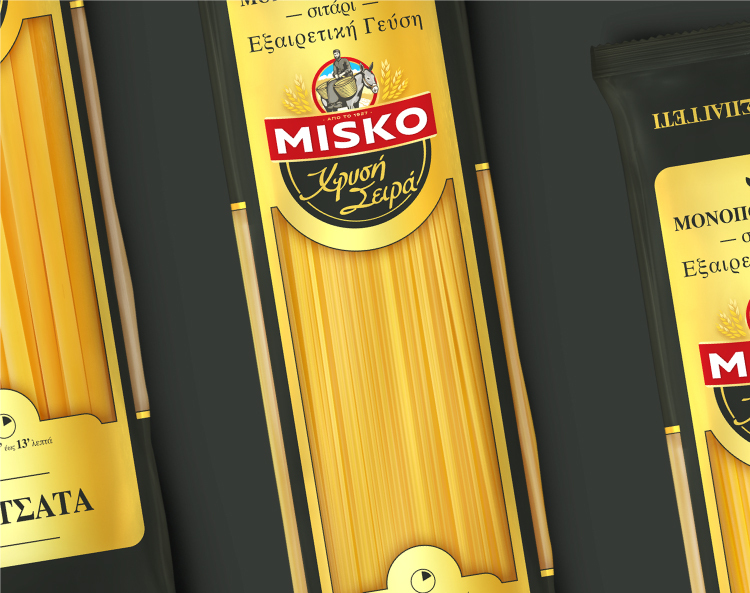 The design style is reminiscent of vintage linoleum printing techniques for a nostalgic feel. 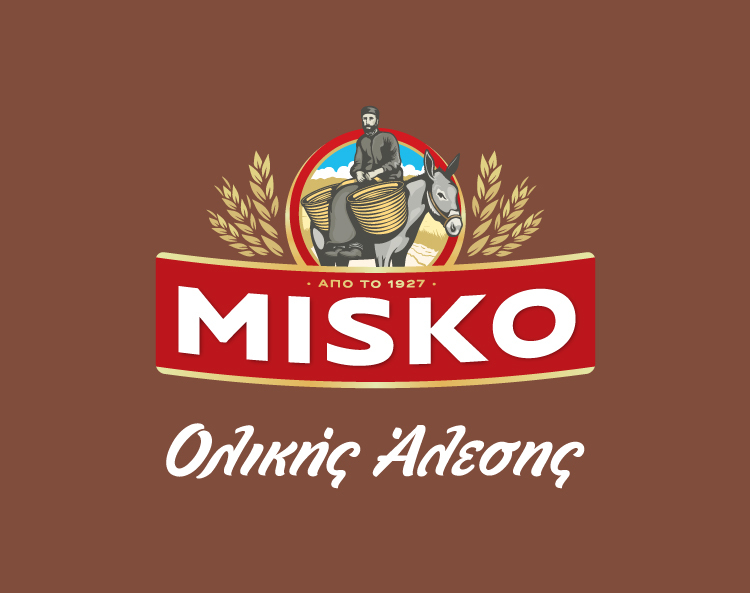 The wordmark has been revamped by removing the serifs, reducing the curve and redesigning the letters in a bolder and geometric approach. 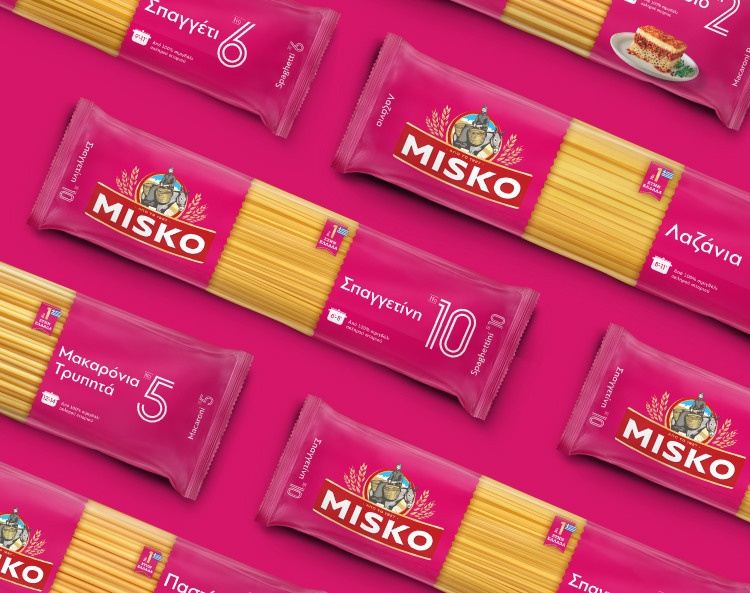 The main fuchsia color, a strong brand asset, has been retained while all gradients have been changed to flat colours to enhance a pure, clean and direct feel. 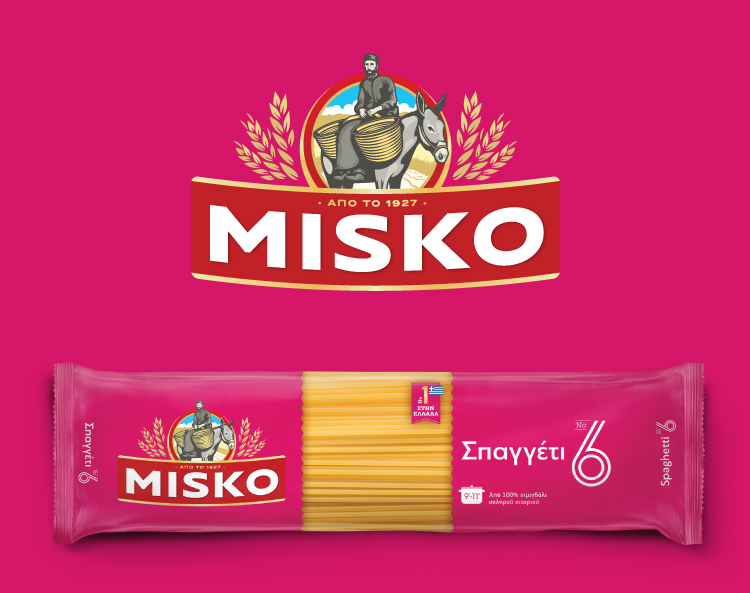 Typography has been carefully selected and secondary graphic elements have been redesigned to build on the packaging’s more modern, simple and straightforward character while keeping it welcoming, familiar and friendly. 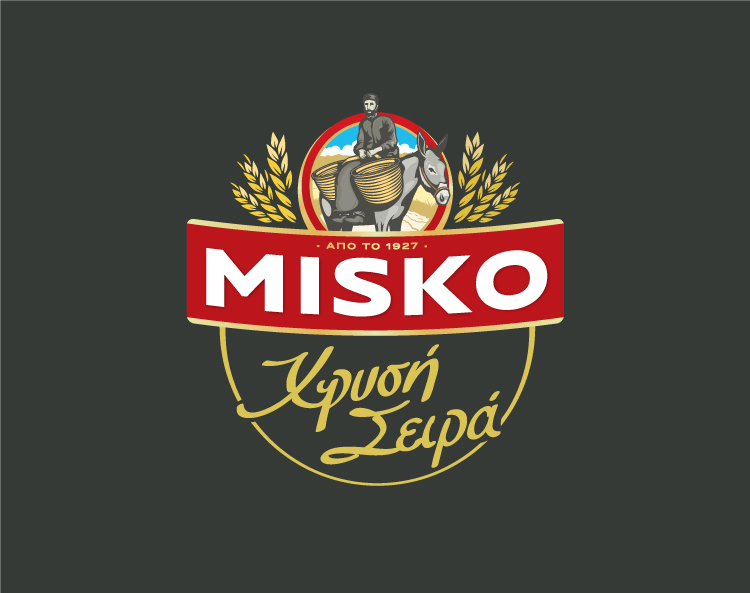 MISKO’s new brand identity signifies the brand’s commitment to progress through paying respect to its roots.